Viewers were instantly enthralled with Netflix's 10-hour true-crime documentary, Making a Murderer, when it came out late last year. And it seems the directors behind the controversial series weren't done telling Steven Avery's story when it ended. Fresh off the show's six Emmy nominations last week, including one for Outstanding Documentary, Netflix made it official today, announcing that Laura Ricciardi and Moira Demos, who filmed and produced the series, are in production on new episodes. It's not over. #MakingAMurderer will return. Netflix says the new episodes will focus on the post-conviction process and the emotional toll for Avery, his co-defendant, Brendan Dassey, and everyone involved. Kathleen Zellner, Avery's new attorney who took over his case in January, will be a key figure in the new episodes. She told Newsweek earlier this year about how she plans to get Avery exonerated for the murder of Teresa Halbach. Dassey's legal team, led by Laura Nirider and Steve Drizin, will also be featured. Much like the podcast Serial, Netflix's own true-crime series became an almost instant hit with viewers, with episodes averaging more than 19 million viewers in the first 35 days following its Dec. 18 premiere, according to Symphony Advanced Media data. While the series was mostly praised, it was also criticized for only telling one side of the story. The directors were accused of purposely leaving out potentially damning evidence against Avery, as well as a lack of interviews with the prosecutors. Ricciardi and Demos argued that the prosecutors denied multiple requests for interviews, instead opting to use footage from the case itself. "It's like having one half of a trial," Nancy Grace, who covered the trial and even had Avery on her show back in 2005, told Adweek earlier this year. "It's not the whole story." 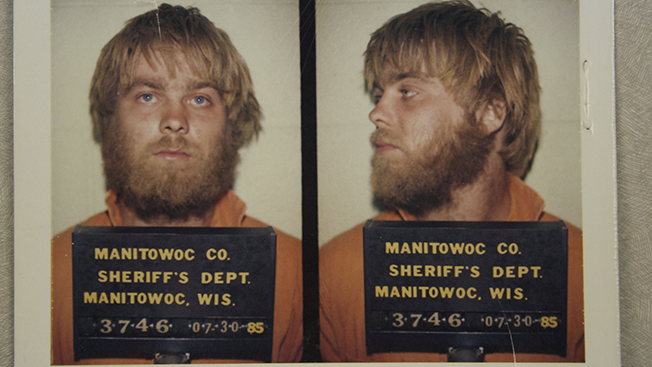 To most viewers, Making a Murderer left them with the feeling that Avery had been wrongly convicted. Andrew Jarecki, who directed HBO's own celebrated true-crime series about Robert Durst, also told Adweek that it left him with "a terrible feeling that I've not been shown an alternative version of the crime." Whether or not the new episodes will give Ricciardi and Demos a chance to tell a more complete picture of the 11-year-old case remains to be seen; during last winter's TCA press tour, Ricciardi argued it would have been "impossible" to include every piece of evidence. "Of what was omitted, was that really significant?" she said. "The answer is no."